Canada’s 9 Story Media Group and French kids’ producer and distributor GO-N Productions are to develop and coproduce an animated series based on classic live-action comedy Bewitched. The new show, taking on the same title, sees Bewitched reimagined for 6-11s but also with family appeal, with 9 Story and Go-N handling worldwide distribution. 9 Story will also control the majority of merchandising and licensing rights for the 22-minute programme. 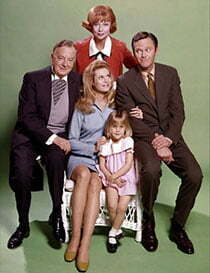 The original Bewitched aired on ABC in the US. Starring Elizabeth Montgomery as a witch married to an ordinary mortal, it chronicled the way her powers and supernatural family got in the way of her efforts to live a normal, magic-free life. The series originally aired from 1964 to 1972 and still broadcasts in syndication. It has previously inspired several spin-offs as well as a movie adaptation.